photo-eye Gallery Opening Friday at photo-eye Gallery: Tom Chambers - Reverie photo-eye Gallery is pleased to announce an exhibition of photographs by Tom Chambers, Reverie. The artist will be present for the opening and reception on July 25th, 2014 from 5-7 pm. This is the second exhibition in our new gallery located in Santa Fe’s Railyard Arts District. photo-eye Gallery is pleased to announce an exhibition of photographs by Tom Chambers, Reverie. The artist will be present for the opening and reception on July 25th, 2014 from 5-7 pm. This is the second exhibition in our new gallery located in Santa Fe’s Railyard Arts District. 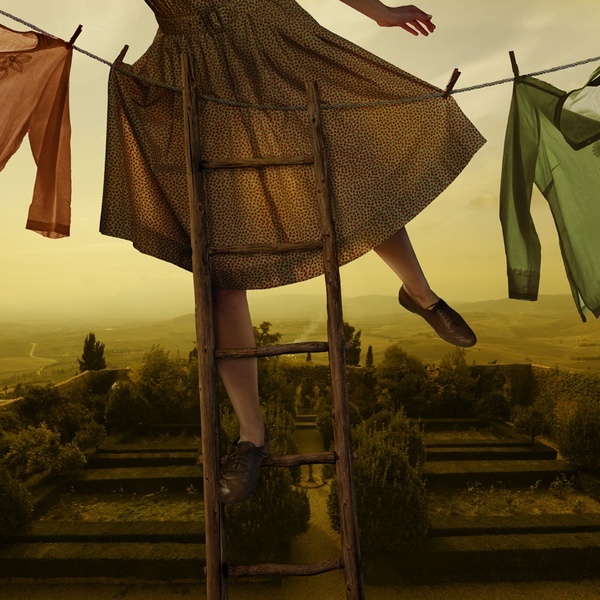 Tom Chambers modernizes Renaissance painting techniques with his camera, creating photomontages that embody the aesthetic capacity of light in the printed image. While drawing from pivotal works in the lineage of art history, from Renaissance art to the paintings of Andrew Wyeth, Chamber's photographs are inspired by dreams and reverie, presenting curious narratives that captivate the viewer and engage the imagination. In 2012, Modern Book published Chambers’ first monograph, Entropic Kingdom. His work has been exhibited extensively throughout the United States and Europe and featured on NPR’s All Things Considered, Huffington Post, Lenscratch, Burn Magazine, Musee Magazine and more. He’s received recognition through various awards including the Worldwide Photography Gala Awards, Critical Mass Top 50, Fotoweek DC and the Texas Photographic Society. Chambers also received fellowships from the Virginia Museum of Fine Arts and the Virginia Commission for the Arts.